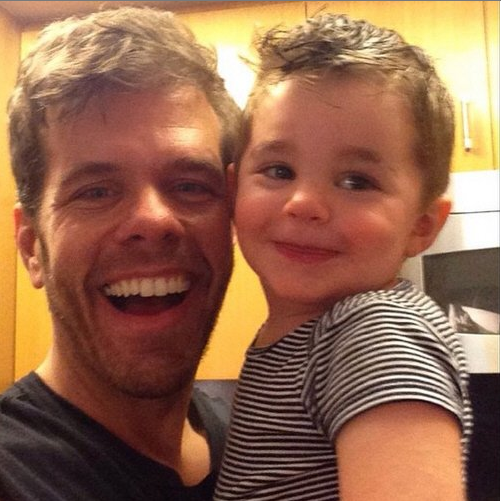 Blogger Perez Hilton adds another child to his family. Perez Hilton had an extra special Mother's Day: He spent it with his brand-new baby girl. Hilton says his daughter, Mia Alma, was born Saturday afternoon via surrogate. The celebrity blogger said by phone Monday that spending the day with his mom and baby girl "was the best way to celebrate Mother's Day." His daughter's name means "my soul" in Spanish, he said, "because I'm cheesy like that." Mia is Hilton's second child. His son, Mario Armando Lavandeira III, was born in 2013. Hilton spoke to The Associated Press as he returned from the Midwest to his New York home with his newborn and was preparing to introduce the siblings for the first time. He didn't say where the child was born to protect the surrogate's identity. He also didn't tell anyone, except for his mom and sister, that he was expecting another child. "It's been the hardest secret I've kept in a long time," Hilton said. He said he's speaking out now as an advocate for surrogacy and in-vitro fertilization, "in response to Dolce & Gabbana." The fashion designers publicly decried such fertility measures earlier this year, resulting in a boycott led by Elton John and supported by Hilton. Hilton said he tried several times to have a second child, but previous pregnancy attempts were unsuccessful. "I was starting to lose hope," he said. "Getting pregnant is very hard," he continued, "and every baby is a blessing." ugh! this disgusting piece of trash shouldn't be allowed to have kids. not b/c he's gay, but b/c he's utterly vile. i feel sorry for his kids. they deserve a better human being for a parent.